View down onto Camlough Lake. 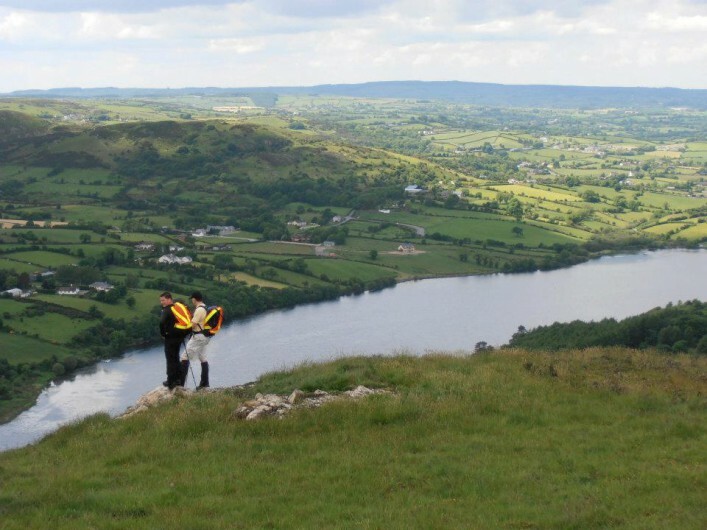 Tomorrow, Sunday 20th of January we will have a one Group walk on Camlough Mountain. With some of the best views in the Ring of Gullion, we will be taking a new route onto the mountain from the village itself. If you fancy joining us you will need walking boots, a waterproof jacket and a packed lunch. We will be on the road for the first mile or so, but then it’s onto open hillside, we’ll cross over the mountain towards the Keggal side and then loop back around the lower slopes back to our starting point. We will be out for around 3.5 hours, the weather is looking promising, but it will be colder on the hillside so layer up, bring hats, gloves an extra fleece and remember no jeans! Meet at Gap O’ the North Pub Jonesborough, at 10 am for registration and a safety briefing.